Global Windows is a family run double glazing company. We are based in Sheffield, South Yorkshire, and work across the local area. We will also work further afield if required.  We have been trading for over 20 years and have an excellent reputation for quality products and highly skilled installation teams. At Global Windows, we manufacture all our products at our state of the art factory. This enables us to oversee quality and efficiency at every step of the process. Through consistent excellence in manufacturing we can guarantee that every installation is a successful one. Our workforce are Sheffield born and bred. We know the area like the back of our hands and can help you to find the best solution for your property upgrade. From Heeley to Hillsborough and Endcliffe to Beauchief, we can help you with all your home improvement plans. Watch our professional installation team install new windows and a composite door at this Yorkshire home. First, a site survey is conducted, where accurate measurements are taken. Next, all preparations are completed, including removal of the old windows and door. Finally, the new windows and door are installed, providing the property with a modern and high quality appearance. At Global Windows, we treat every customer and their home with care and respect. We want your experience with Global to be as positive as possible. To get a feel for our work ethics and the quality of our products, come and visit our factory showroom. Try out our windows and doors for yourself and get a feel for our full-size conservatories before you decide to buy. At Global Windows, we provide a 10-year guarantee and a 10-year insurance backed guarantee on all the products we manufacture and install. This helps to give homeowners peace of mind that their investment is protected. We offer a no obligation free quotation to all our customers and never use high pressure sales tactics. When you choose Global Windows, you choose the best. We use only the best quality profile systems to manufacture all our double glazing products. All our installers have a wealth of industry experience and all the required qualifications. They have worked on a wide range of installation projects gaining the knowledge to make every installation a complete success. Our team of fabricators, builders, fitters, and administrators work tirelessly to provide an outstanding service to our customers. For the best in energy efficiency, all our products are A Window Energy Rated. With a window upgrade from Global, you’ll soon be enjoying a warmer, more efficient home. At Global Windows, we strive to make every installation as stress free as possible. From the initial enquiry to the completed installation, we want our customers to relax, knowing that their home is in the safest hands. Once a quote has been approved, a surveyor will visit your home to take measurements for the products. While the products are being manufactured, we arrange a convenient time for the installation to take place. No payment is expected until the installation is complete.